Samsung says bad battery design and a rush to release an updated version of the Galaxy Note 7 caused some of the devices to overheat and explode. The company released a report Sunday night in which it said that two separate battery malfunctions caused some Note 7 phones to overheat and even catch fire. The first problem affected the first batch of Note 7 phones that launched last fall. In those phones, the battery was too large for its casing, causing some devices to overheat, according to Samsung's report. Recalling the initial batch of Note 7 phones, Samsung manufactured the phone with a battery from a different supplier. But Samsung was in a rush to get the new phones out, and the new battery produced by the supplier had a defect that also caused it to overheat, the report said. Samsung ended up recalling all Note 7 phones and canceling the product altogether. 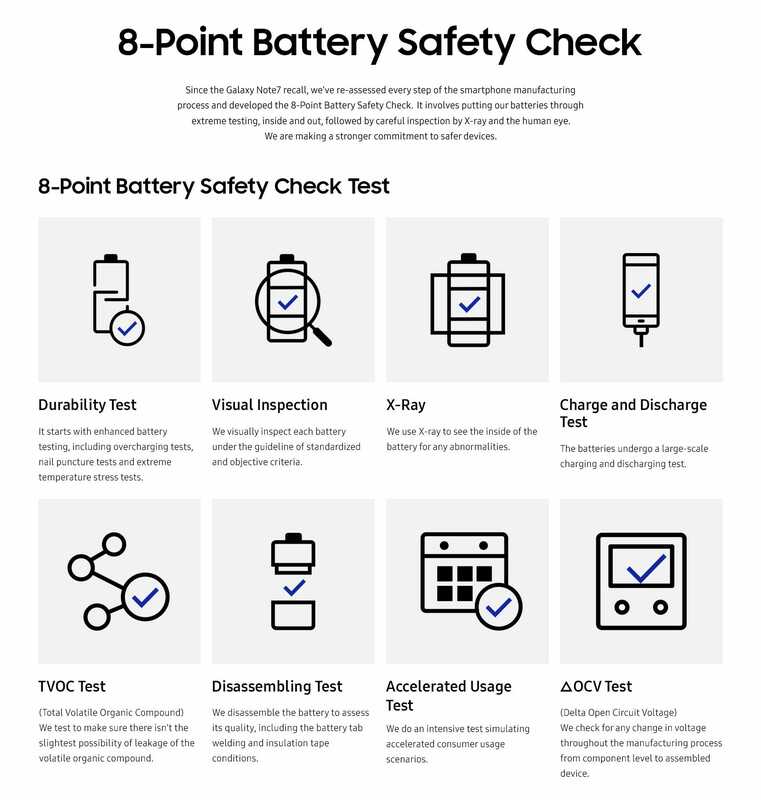 Samsung says it has developed a new eight-point battery check to make sure future devices don't suffer the same fate as the Galaxy Note 7. The test includes an X-ray of the phone and extreme testing conditions that force the battery to work harder than normal. The company also formed a new group of third-party battery advisers that includes professors from the University of Cambridge, the University of California at Berkeley, and Stanford University. Now that Samsung knows what caused the problem with the Note 7, it has the unique challenge of proving that its devices can be trusted moving forward. The company says it now has the processes in place to make sure its phones don't overheat and catch fire again, but after months of speculation the world will have to wait for Samsung's next device to see whether the company can follow through. The company is expected to release its next flagship phone, the Galaxy S8, this spring.